Welcome to My Grandfather’s Road! 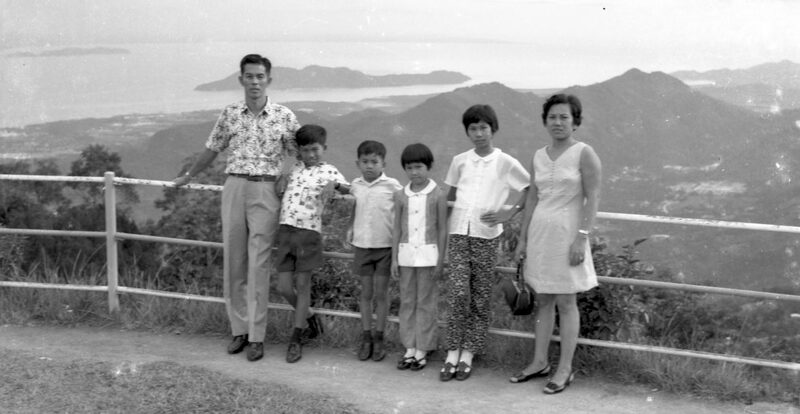 My Grandfather’s Road is a multidisciplinary project of stories about growing up on a road named after my grandfather called Neo Pee Teck Lane along Pasir Panjang Road, until I move out in 1973. My Grandfather’s Road was commissioned by Cake Theatrical Productions and comprised a photo installation, a book and a 30-minute monologue (script edited from the book) in English performed by Bjorn Lee Varella from 19 – 21 November 2015 as part of Cake’s 10th Anniversary celebrations, Running With Strippers at Cake’s Studio at the Goodman Arts Centre. The stories in the book were developed into two different Cantonese monologues and presented by Centre 42 as The Vault: My Grandfather’s Road from 23 – 25 November 2017. The Malaysian Cantonese version was written and performed by Tan Cher Kian and the Singaporean Cantonese version was written and performed by Gary Tang. The two Cantonese monologues were further developed and performed back-to-back with the two performers reprising their roles, from 15 – 17 June 2018. It opened with Tan Cher Kian’s first person narrative version, followed by Gary Tang’s storyteller version. With variations of the same stories, updated information and speculations, who is telling the truth and/or the real stories? Karen Tan performed the premiere of the full-length English monologue of My Grandfather’s Road from 14 – 16 June 2018. The English version included updated and new stories and information as well as new interviews. The 2018 stagings of My Grandfather’s Road were presented at the Centre 42 Black Box and were independently produced. On 4 September 2018, the Cantonese storyteller version was performed at the Hua Mei Centre for Successful Aging, a day care centre for seniors with dementia. The script was adapted for this performance. The main objective of the performance was to get the seniors to share with us their own stories and anecdotes about some of the places that were mentioned in the performance. My Grandfather’s Road is ultimately a storytelling project and I hope that it will help to make people think more of their own personal stories and share them with others. You will find that they resonate with other people in the most surprising ways. Most of the first printing of 150 copies of the book were given out at Running With Strippers in 2015. The National Library Board purchased the remaining copies for its public libraries islandwide. 300 copies were printed for the second print run in 2017 in conjunction with the staging of the Cantonese monologues in November 2017. City Book Room, 420 North Bridge Road, #03-10, North Bridge Centre, Singapore 188727. BooksActually, 9 Yong Siak Street, Singapore 168645. Knuckles & Notch, 14A Bali Lane, Singapore 189850. My Grandfather’s Road is back from 18-21 April 2019 as part of Esplanade’s The Studios programme! Both the English and Cantonese versions will be revisited. The latest iteration of My Grandfather’s Road includes new stories that were unearthed, new speculations and reflections, and forgotten histories. More information and ticketing details here. Tickets are on sale now. There will be an exhibition version of My Grandfather’s Road at the Arts House from 8-17 March 2019 as part of the Textures programme organised by The Arts House. There will be readings in English and Cantonese, an exhibition of photographs, artefacts and video documentation of past versions of the stage performances. Admission is Free! More details here.